The term clairvoyance (from French literally translates to 'clear vision') is the ability to gain information through extrasensory perception. Those with this 'sixth sense' can receive messages transmitted over both temporal distances (visions of events occurring in either the past or future) and geographic distances (events happening simultaneously but in different locations). A reading with a clairvoyant can include a number of methods such as crystal ball, rune stone and aura readings. 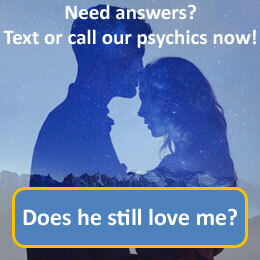 If you have a specific question you would like the answer to, please don't hesitate to ask at the start of your reading.